Rainwater fall from the sky for free, by simply filtering then storing it in an underground water tank, you can water your garden or even pipe straight into your home and use the water to flush the toilet or do the laundry. 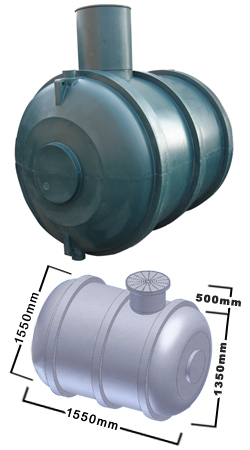 Made from industrial strength MDPE (Medium Density Polyethylene), the 2800ltr is a durable Water Tank, ideal for both domestic and commercial use, an extremely versatile storage tank ideal for water and chemical etc. Has the ability to take from 8mm in/outlet up to 110mm in/outlet in various positions.